Cantero (left) speaking after the hearing. The coalition of voting rights groups that took Florida’s Legislature to court is looking to recover money under a doctrine known as the “private attorney general.” The idea is to let citizens file lawsuits for the benefit of the broader public. To encourage this, some states allow plaintiffs to recover legal fees when they win their cases. League of Women Voters attorney David King says this case offers a chance to set that precedent in Florida. 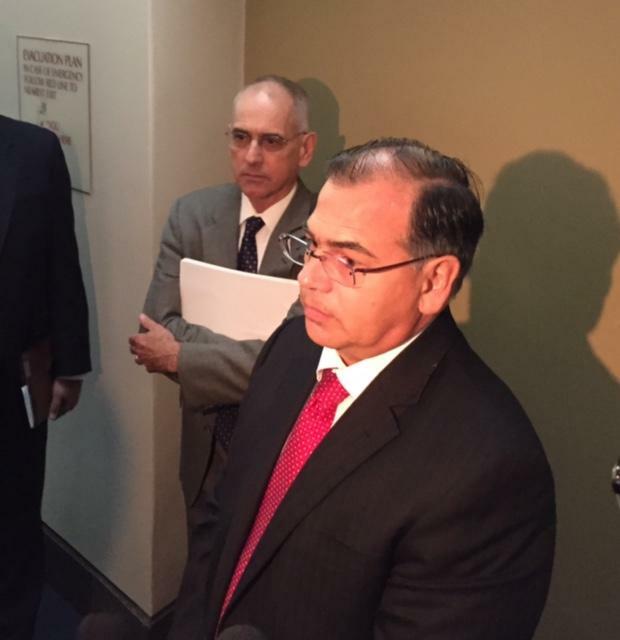 But Raoul Cantero, counsel for the Florida Senate, says the plaintiffs’ claims are baseless. Lewis ruled the plaintiffs can demand fees for a number of administrative bills – things like printing, travel, and court reporters – but he did not award attorneys' fees. Lawyers for both sides will meet to hash out the final amount of the plaintiffs' claim. But King says the plaintiffs plan to appeal in hopes of recovering the full cost of attorneys' fees. 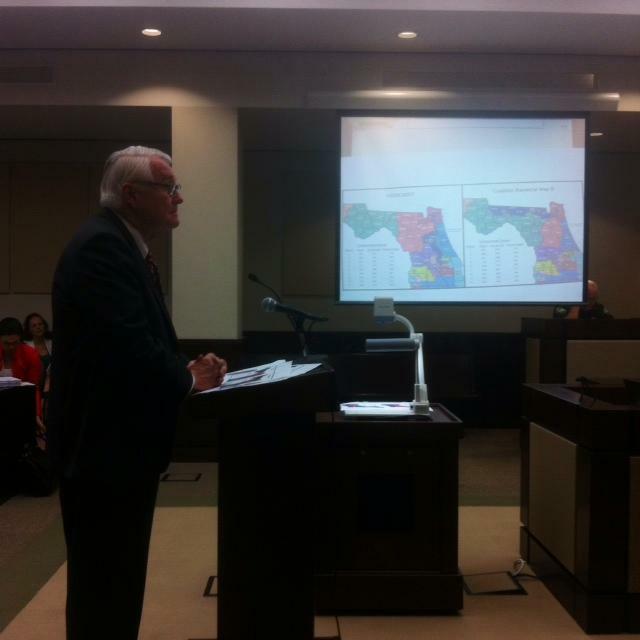 More challenges to Florida’s recently redrawn congressional districts are winding through the judicial system. 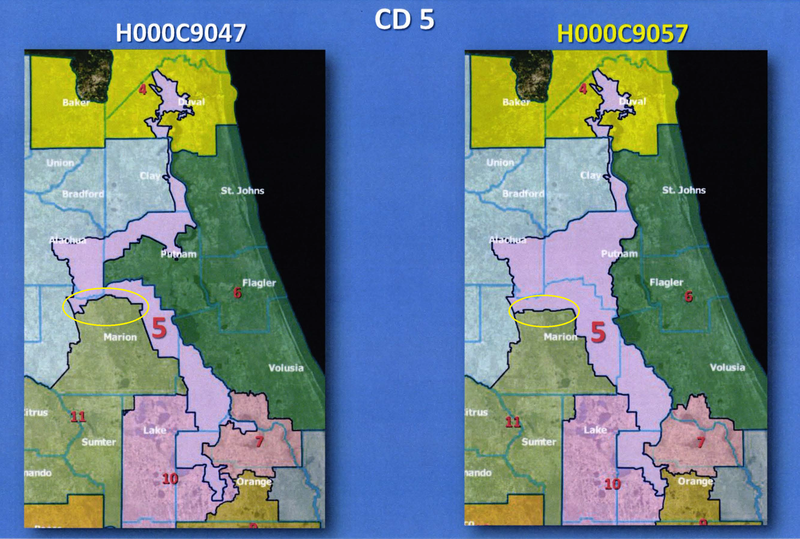 Now a divided appeals court wants the Florida Supreme Court to decide if the state's newest congressional map is legal. Florida lawmakers redrew seven of the state’s 27 congressional districts in August after a judge determined the old map had been gerrymandered. A coalition of groups who had sued over the original map say the new version isn’t much better. And Democratic lawmakers claim Republicans left them out of the redrawing process. Less than 24 hours into Florida’s special legislative session, revised congressional district maps are heading to the floor. But the proposed changes don’t look very different from the recently invalidated map. The committees charged with proposing new congressional districts to the Florida Legislature passed their first drafts today. But the revisions focus on tweaking at the edges rather than creating broad changes. Legislative analyst Jason Poreda describes one of the changes that will have little effect on voting.